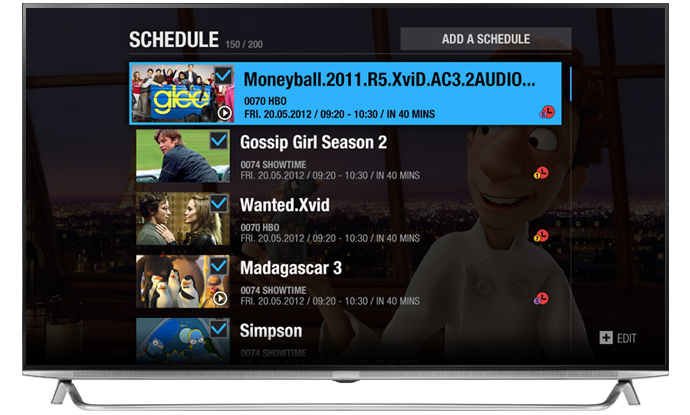 2tune can record 4 programmes from 2 different network at the same time. You will not miss your favourite programmes. 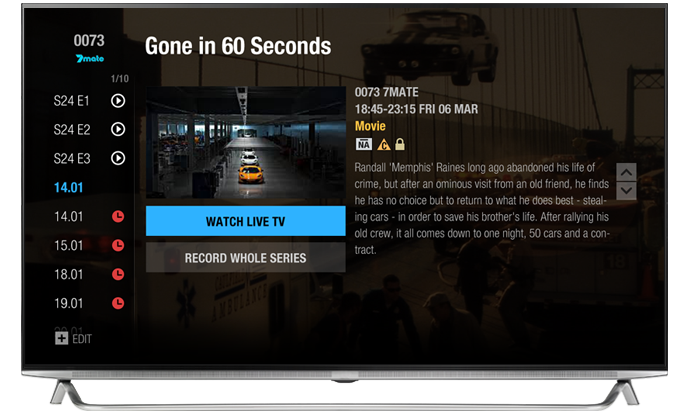 When you select ‘Record Whole Series’, 2tune will record all programmes that are identified as the same series by broadcasters from one time set up. 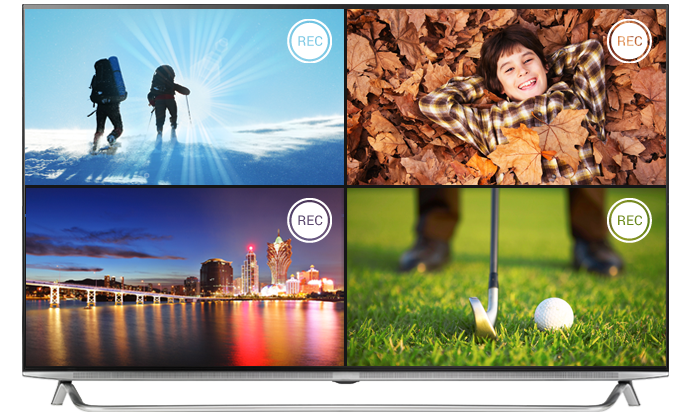 If you want to record only new episodes but reruns, you can turn off Record Repeats. This will save your storage. * Repeat is determined by broadcasters and is not related to the recordings on 2tune. You can set the number of episodes to keep in your storage. This is a great option to manage your storage. We all know that programmes often start and finish at a different time than it was scheduled. You can set up start and end padding time to minimise the chance to miss the start or end of the programme. 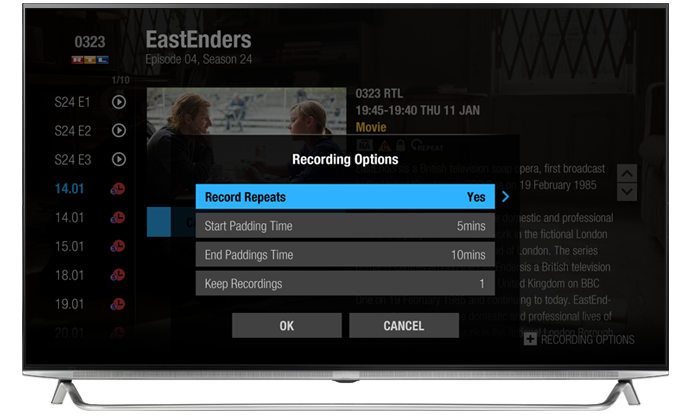 You can set up your own recordings with the options for programme, start and end time and repeat mode. 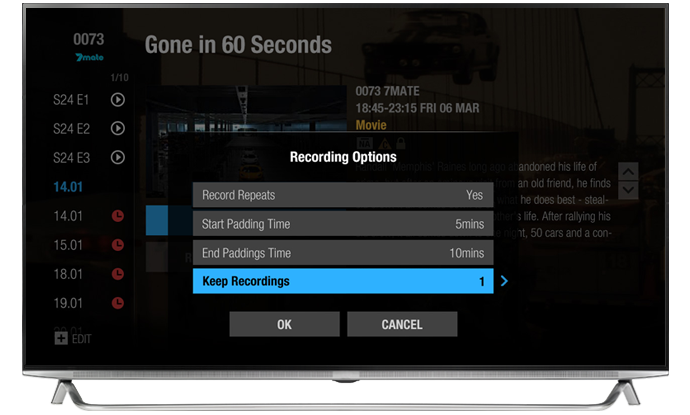 With the manual recording, you can select days of the week when you wish to repeat recording. 2tune will work only according to the time you have set without padding. 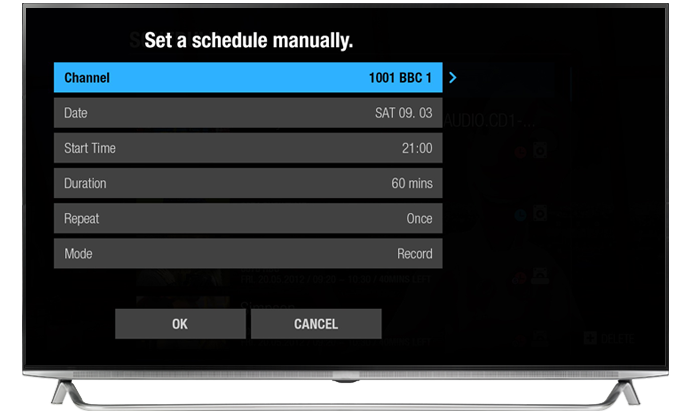 You can add extra time to make sure none of the programme is missed.